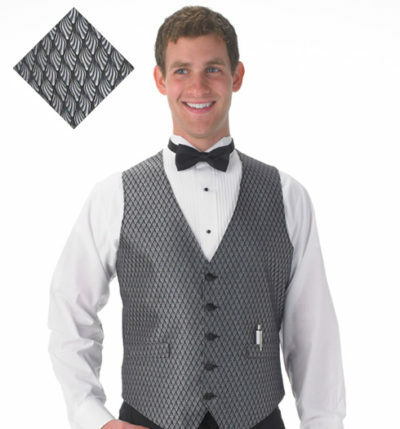 Tuxedo Vest Diamond Leaf Print by Henry Segal. 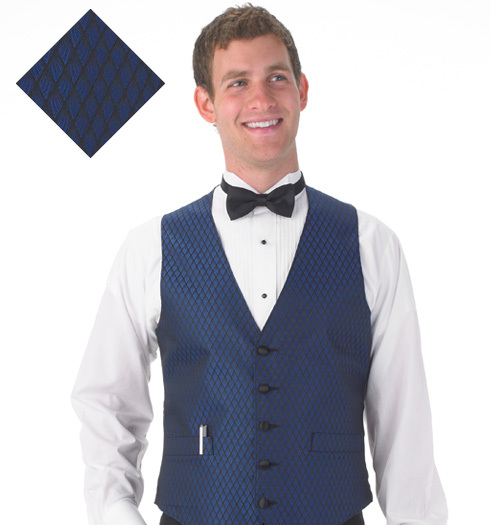 This tuxedo vest is available in both men’s and women’s sizes. 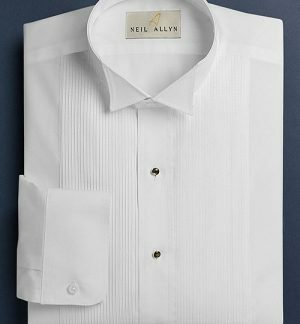 Available in 4 colors, Black, blue, burgandy and silver. 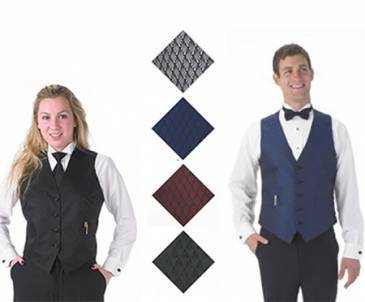 Furthermore, it’s a perfect affordable accessory for your restaurant, band or orchestra. 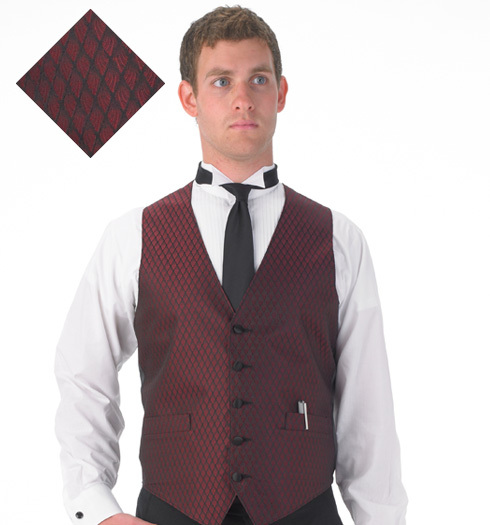 Finally dress up your wait staff and compliment its décor. 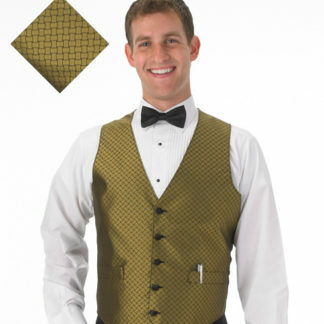 In addition, create that uniform look for your choir, band or orchestra. Hence, a simple and affordable solution!